Everything is bigger in Texas, including the run up to turn one. 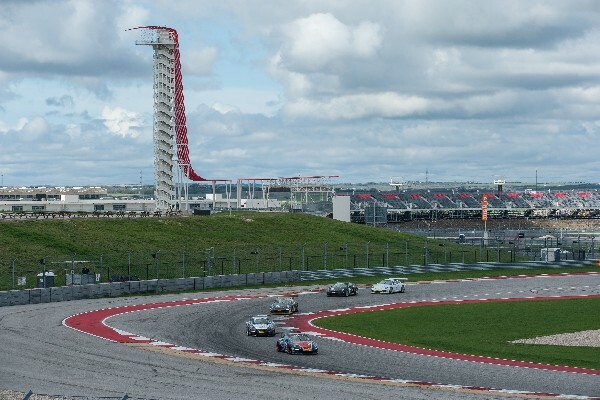 This weekend, Pirelli Trophy West USA returns to the home of the United States Grand Prix as the Circuit of the Americas near Austin, Texas hosts a double-header race weekend that promises another weekend of exciting Porsche competition. The 20-turn, 3.427-mile track opened in 2012 and has hosted nearly every major form of motorsports in the world, including its premier event, Formula One. Drivers and teams anticipate the annual event, which has seen action as hot as the southern Texas weather. 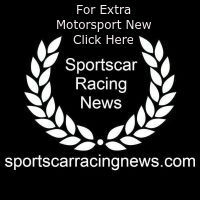 Once again, the series will split the field of over 30 Porsche GT3 and GT4 Cup Cars, with two races each on Saturday and Sunday. Diamond and Diamond Masters (2017-2018 991.2 GT3 Cup), Platinum (2015-16 991.1 GT3 Cup) and Gold (2010-2013 997.2 GT3 Cup) will compete in their own set of races, with Silver (Cayman Clubsport GT4 MR) and Bronze (2016 Cayman Clubsport GT4 Trophy) classes contesting a separate pair of events. TruSpeed Autosports’ Kevin Woods has dominated the Diamond class, with victories in six of eight races. But Loren Beggs (911 Design) remains only 14 points behind on the strength of one victory and a succession of second-place finishes. In Diamond Masters class, Competition Motorsports’ Michael Zuieback holds a 73-point lead over teammate Mike McAlister, with Jim Walsh and Preston Calvert close behind in third and fourth. The story of the Platinum class this season has been 21-year-old Sean McAlister, who has been victorious in all eight races and holds an impressive 111-point lead in the title chase. The Competition Motorsports driver knows he has his work cut out for him if he hopes to take another overall victory at the famous circuit, which is already one of his favorites. In the Silver Class, The Racer’s Group teammates Chris Bellomo and Jim Rappaport have engaged in spirited battles through each race, with Bellomo coming out ahead in seven of the eight contests. Meanwhile, the Bronze class has seen some of the strongest competition in the series, with four drivers – Black Sheep Racing’s Laura Ely, Competition Motorsports’ Carl Tofflemire and Steve Goldman, and Flying Lizards’ Martin Brauns – sharing the top step of the podium and exchanging in multiple lead changes throughout the eight races. But with three victories and top-two finishes in each race, Ely holds an 86-point lead over Tofflemire.